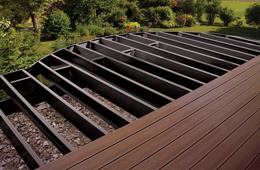 Have you thought about building a deck recently? 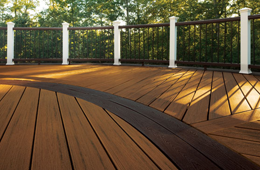 Advance Deck & Sunroom, experts is deck design and custom work can help you find the right deck choices for you. There are millions of choices when it comes to woods, designs, landscaping, sizes and even the height of your deck can mean a lot to the right homeowner. There are so many types of wood to choose from, though, as well as alternate materials such as composite decking or aluminum. Choose the right material for your family’s needs, and you can expect many years of barbecuing and sipping lemonade on your deck with family and friends. We recommend that you factor in where you live when you’re considering the type of wood to buy. For example, while decay-resistant redwood is plentiful and popular in the Pacific Northwest, it could cost you an arm and a leg to have it shipped to another part of the country, call us at 217-586-4840 to find out the best choices of wood here in Illinois. Want to find out more about your options? Give us a call at 217-586-4840.